Majorca and Menorca may sit side by side in the archipelago of Spain in the Med and share many characteristics but when it comes to luxury real estate – villas and vacation homes – each island offers something unique to international property buyers flocking to their sun-kissed beaches. Spain has seen robust recovery since the 2008 financial crisis, and the growing number of new residential construction projects in Majorca attest to the revival of the country’s fortunes. The construction boom is expected to continue for the next few years, especially in the luxury properties sector, so now it’s the best time to claim a piece of this idyllic Mediterranean island. Newly constructed luxury villas in Majorca are more beneficial in terms of tax payments compared to second-hand homes. In 2015-2018, there has been a slight increase in the sale prices of high-end properties in Majorca, and the demand for rental properties remains healthy as the island’s reputation of a popular holiday destination has grown. 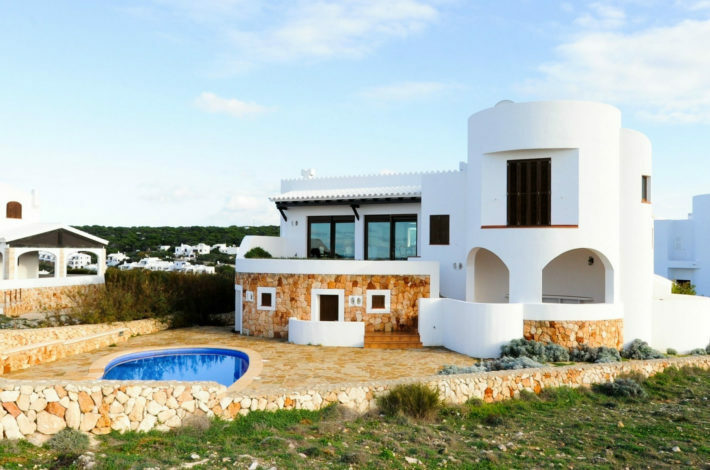 In comparison, Menorca offers lower buying and rental price tags (even in the high-end market segment) as it is yet to be discovered by tourists – but remains a very perspective area with its luxury seafront villas and spectacular houses, attractive landscapes, and scenic routes. 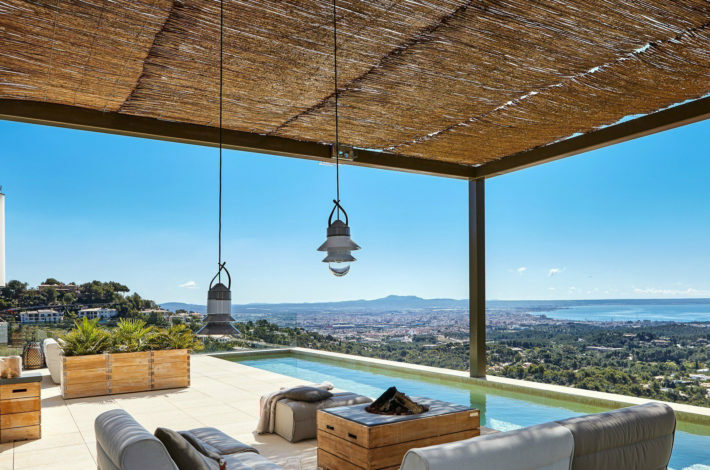 British buyers have traditionally been the leading second-home buyers in Majorca but their number has decreased due to the uncertainty surrounding Brexit and the pound-to-euro currency exchange rates. Meanwhile, Switzerland and Russia are emerging as prime investors in new developments. Menorca is very popular with the French. There are definitely some very interesting benefits for foreigners who buy in the Balearic Islands. One of them is the Beckham Law. It is aimed at foreign employees moving to Spain with an employment contract to help reduce their tax liability. A qualifying person would opt for the Spanish tax residency and be able to pay income tax at a rate of 24% for a salary of up to €600,000 and 45% for income above that threshold for up to six years. 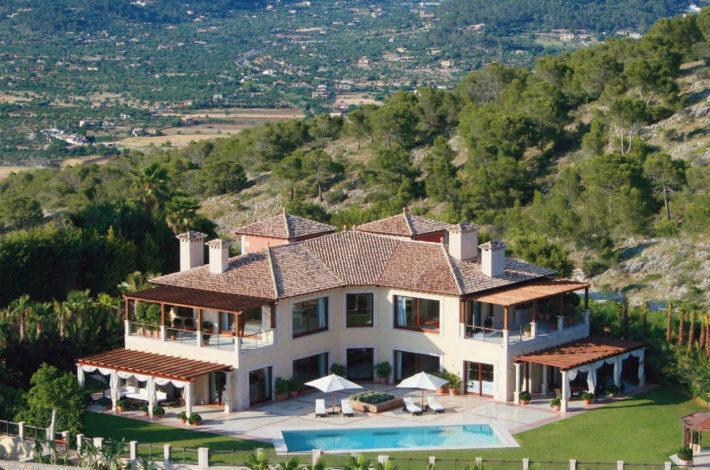 This is an attractive option for those with a medium-high income moving to Spain. It also positively affects premium real estate market. Non-EU citizens could benefit from the so-called ‘golden visa’ which grants a Spanish residence permit to foreign investors who invest at least €500,000 plus VAT in real estate there. Majorca as a popular destination for second homes due to its pleasant climate and a wide range of activities. It has more than 260 beaches, an incredible landscape (with the spectacular Serra de Tramuntana mountains) and a lively, authentic city of Palma de Majorca. Visitors and residents of the islands can enjoy visiting attractions from the Dragon Caves or the Majorca pearls factory to Marineland, the home of the award-winning wildlife shows, and the ports with a wide selection of exclusive restaurants, shops and bars. Menorca, on the other hand, is a smaller and more traditional island with many idyllic bays. It is an excellent location to escape to from a busy life elsewhere. It’s perfect for those long walks and horseback riding or mountain bike trips along the coast that circumvents the island. 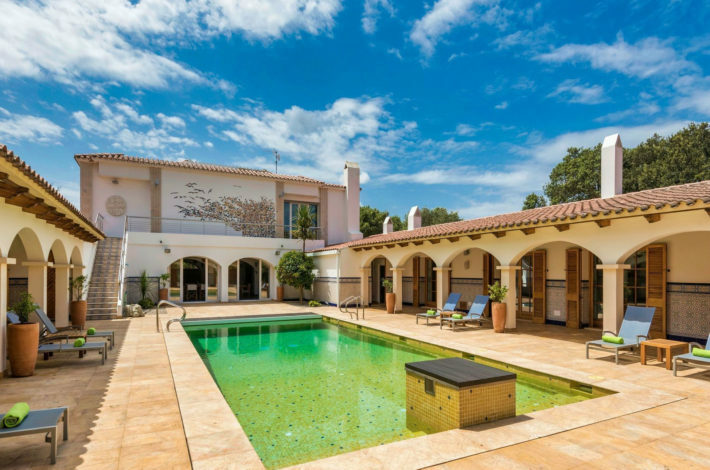 Areas in the southwest of the island such as Port d’Andratx, Santa Ponsa and residential areas close to Port Adriano are especially popular as they are home to international schools, luxurious villas, ports, golf courses around. These areas are especially popular with German, Swiss, Scandinavian and Russian buyers. In the city Palma de Majorca, Santa Catalina is a very well-known neighborhood with many trendy restaurants and bars. In the heart of the neighborhood you can find its vibrant indoor market and a yacht club sitting right next to it. Ropemakers and flour millers used to live here, and some of the 18th century windmills still remain. Popular with Scandinavian buyers. 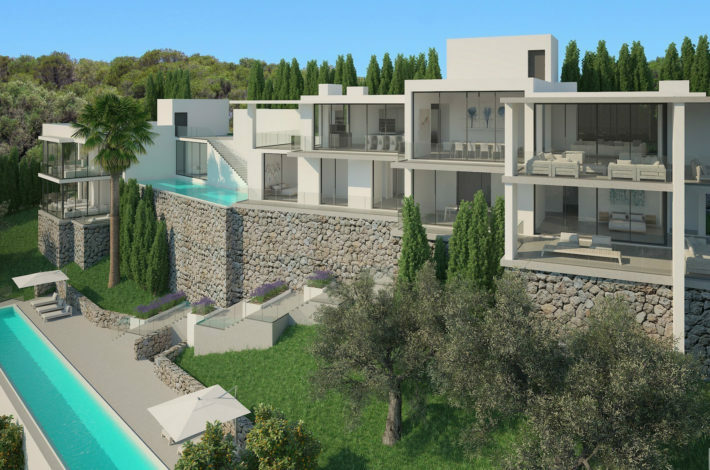 Son Vida is a residential area with luxury villas close to Palma, surrounded by golf courses. 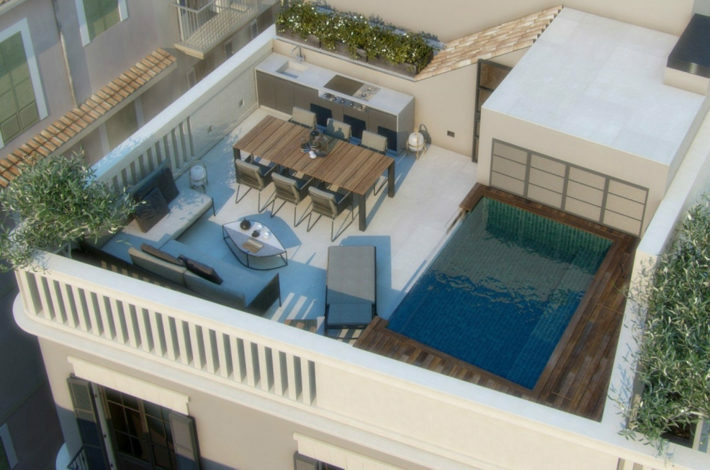 It offers exclusive views overlooking the city and the bay of Palma. Son Vida is especially loved by German and Swiss investors. Choose from luxury, design-focused villas by the sea, as well as rustic countryside estates that reflect the historical influences of Spanish, British and French colonizers in Menorca. Mahón and Ciutadella are the two main cities of the island. There you will find ancient palaces, influenced by contemporary art, architecture, and design combined with an abundance of restaurants and bars. Many residential areas can be found on the coastline of the island areas around beautiful small coves. Son Xoriguer and Cala Morell are a couple of exclusive properties that could become your home in blissful Menorca. Spain is one of the most popular European locations on JamesEdition, and Ibiza stealing the spotlight as a top property investment destination. Our real estate expert explains why the region’s superb offering for property buyers is enjoying its moment in the sun.